YOU MUST LIST A LOCATION! If USA, at minimum your general area and USA, but better is state and USA. Don't just put USA). If another country, state country at minimum, in addition, area or city if you like. Ati 102 c09003 driver. Maintenance manuals for lathes, milling machines and other machinery. Dan, In my possibly biased opinion, a very good lathe, fun to use and well designed and built. Why are they fun to use? Because spindle speed, direction and on/off are all controlled by one 'joy stick' on the right hand of the saddle. Speed change is instant, just a little twist, and it immeadiately jumps to the speed you've clicked to. In the space of a second you can change speed four times, and change direction too if you want. This is because the gearbox has four magnetic clutches, each attached to a constant-mesh gear. By switching off one clutch and switching on another you get instant on-the-fly speed change. And another two magnetic clutches for forward and reverse. And the clever design you ask? Well, the vee ways are covered, so no chips can get to them. 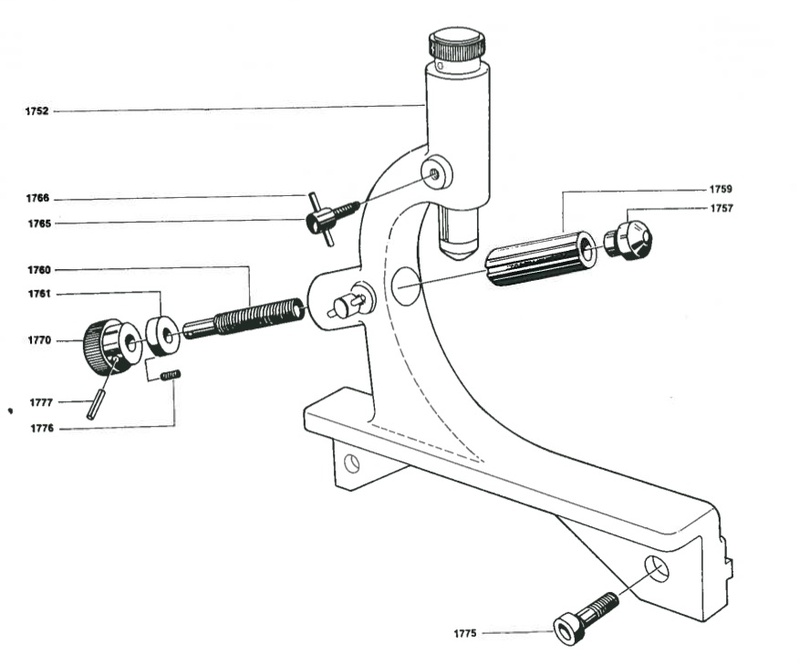 This is because the tailstock has its own ways, they are a lot higher than the carriage ways. This means the main ways can be well covered from above. The tailstock ways stop well short of the spindle, so you have a natural gap-bed effect - a lathe which swings 6' over the crosslide can also swing 17' in the permanent 'gap'. Are they well built? I took my carriage to bits for a look - what a beauty! Fine engineering throughout. The headstock has its own oil pump keeping the Gamet bearings happy, and the main speed change gearbox is seperate, it has its own oil pump too. Another good idea, it has holes in the bed casting that allow you to stick a length of round steel through at each end of the lathe, and so sling the lathe easily without doing any damage. (weighs 1000 kgs, 2208 lbs). (Note, Graziano later made a Sag 12'S' with Reeves drive, maybe the electric change gearbox of the Sag 12 was too expensive to build)? Now, where was I? A manual, I've got one, if you can't find something closer to home, let me know. Check out Tony for interesting Graziano stuff. Doc, I got the Sag12 home wired up. Spindle is quiet, but the lower trans is a bit too loud. I think (hope) it is just some bearings. Itunes 10.5.1 aqua for mac. Seems to be a little quieter in reverse. The lathe has a very bad paint job on it and I will have to repaint it to get it looking the way I want. It looks like I can take off the 4 bolts that hold the trans in the base and pull the trans and motor together. Any thoughts on this? I also removed the head stock cover and check the gears, they look great plus I turned it on and watch the oil pump, COOL!!! I going to drain, flush and clean out the head stock case and refill with a good oil. Does the manual show how to take the trans apart? Thanks for your help-Dan. Dan, Noise in gearbox. Check to see you have the motor turning in the right direction, when you lift the hand control, the spindle should rotate in the normal direction. Down for reverse. Don't be in a hurry to dismantle unless you are pretty happy with such a job ie bearings pressed onto shafts, need for absolute cleanliness etc. Lots of stuff in there, needle bearings, clutch packs etc. My lathe, when idling, makes some noise, the motor is turning the input shaft of the gearbox all the time. When the spindle is started there is a whining noise from the gearbox, not too loud. Note, in the lower gearbox, the oil pump sticks out, you will see it when you open the door, it has a filter behind the screwed-in bung. My manual only shows parts, no instructions at all except for lubrication. Looks like the four bolts are all that holds the gearbox in. One problem you may have - The lathe starts OK, but after a minute, the motor cuts out. There is a oil pressure switch on the lower oil pump, if pressure drops it cuts the motor. There is a timer in the sytem that allows the motor to start and get up pressure. If it gets to be a problem, I think I would by-pass the switch and put a pressure gauge in the system, one that can be viewed from out side. Graziano told me the lower gearbox pressure should be 3-5 ATM. I guess this means 'Atmospheres', so 45-75 psi. Either that, or put in a switch with a lower psi setting. The Sag 14 uses a 'normal' gearbox with 'normal' clutch, no electrickery involved.